Looking at the efficiency and comfort the CBX25UH will deliver, it’s difficult to find a reason not to purchase this air handler for your home. 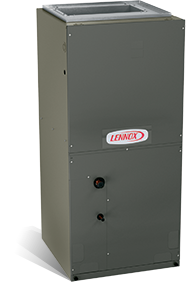 The unit is built for energy efficiency and designed to help lower utility bills with features such as the high efficiency evaporator coil and compatibility with the EPA approved R410A refrigerant. It’s also reliable so you won’t have to worry about a thing once it’s installed. The durable steel cabinet is made to last, and protective elements curtail corrosion, mold, leaks and rust. High efficiency evaporator coil allows great heat transfer and efficiency. Direct-drive blower motor offers consistent and even airflow. Optional electric heat enables extra heat for added comfort. Insulated blower compartment enables a quiet operation. Antimicrobial drain pan to help prevent mold and mildew growth. Ready to find out how the CBX25UH Air Conditioner can make your home more comfortable year round? Need help with a gas furnace repair or want to schedule a gas furnace maintenance visit? We can handle it all. Our staff is trained, experienced and ready to help. Make an appointment or call 740-594-8381 for Athens or 740-654-4328 for Lancaster now.